Cruising year-round out of Sydney, Pacific Explorer cruises offer adventures to discover Australia’s Eastern Coastline as well as journeys to the tropical islands of the South Pacific. Within Australia, set sail to tropical North Queensland or journey south to Melbourne or Tasmania. Or why not give her a try with a 3-4 night taster cruise. 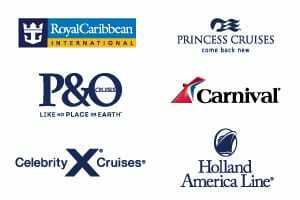 For something a bit longer and further afield, Pacific Explorer South Pacific cruises visit New Caledonia and Vanuatu, and sometimes even Fiji, and are usually 8-12 nights in duration. Pacific Explorer cruises also feature fantastic itineraries visiting New Zealand, for those wanting to experience new destinations with P&O. From October 2020 Pacific Explorer will be making Brisbane home, replacing Pacific Dawn who has been cruising from Brisbane since 2009. This move will provide Queenslanders with new on board activities as well as the chance to visit exciting destinations. 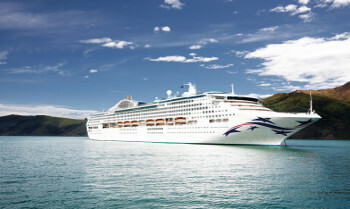 Take a 3 or 4 night Sea Break, cruise Australia’s iconic coastline or relax in the balmy breezes in the South Pacific. For more P&O Cruises Australia itineraries that depart out of Sydney, see Pacific Jewel. 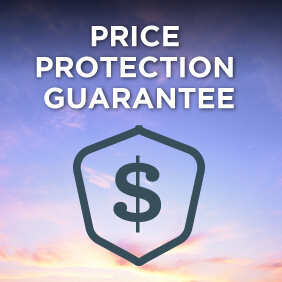 Alternatively view a selection of P&O Australia cruise deals, or view more options for P&O Australia cruises. The newest and largest ship in P&O’s fleet, the Pacific Explorer merges sun-soaked relaxation with an abundance of on board activities. She’s the perfect match for Australia’s fun and sun loving lifestyle complete with two waterslides, a waterpark, barefoot bowling, zip lining, rock climbing and a huge range of bars, pubs and live music venues. When it comes to dining guests will be spoilt for choice with 12 dining experiences all included in the cruise fare. All this combined with P&O’s stylish yet relaxed modern Australian interior designs. Black Circus takes on board entertainment to new levels with exclusive dinner and show packages and a glamorous cabaret style show. It’s the ultimate night out full of spectacle and outrageous fun! You’ll find a selection of talented home-grown Australian musicians playing live every night on Pacific Explorer. 12 Dining Options Included in the Cruise: At P&O Cruises Australia we do things differently, especially when it comes to dining. That’s why you’ll find three stylish, a la carte restaurants and nine eateries in The Pantry onboard Pacific Explorer all included in your cruise fare. Luke’s: Following on from the success of Salt grill by Luke Mangan, we’re excited to introduce the new casual al fresco outlet Lukes on Pacific Explorer, serving up some seriously delicious burgers. 400 Gradi: Foodies rejoice! Pacific Explorer will be home to new Pizzeria, 400 Gradi, overseen by famed and award-wining Melbourne pizza chef Johnny Di Francesco who won the Best Pizza in the World award in 2014. Buon appetite! Join us onboard for three jam packed nights dedicated to ‘the King’.There will be themed parties, karaoke, trivia, a movie and concert marathon, the largest memorabilia collection at sea and of course a stellar line up of tribute artists and performers including Mark Andrew, Damian Mullin, Allan Wright, She is the King and many more. Alana Patience from Dancing with the Stars will offer dance classes and legendary music historian Glenn A Baker will present Q&A sessions on the life of ‘the King’. P&O Cruises Australia, Melbourne Cup cruises are the best way to enjoy one of Australia's favourite events.Cruise to the most glamorous day of the year and watch the Melbourne Cup live from Flemington. Plus, guest have the chance to upgrade their tickets to sit in the exclusive P&O Enclosure*.As well as the excitement of donning your finest for a day Flemington and watching the race itself, you'll also spend time away from home on a well-earned break. Tickets and transfers to Flemington Race Course are included in your cruise fare*.